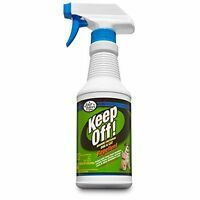 Keep Off Indoor/Outdoor Cat & Kitten Repellent, 16 fl. oz. Excellent transaction, very fast shipping! Will order again from this seller!! AAA+++ Fast shipping, Good value, Thanks again! Good product, carefully packed and shipped. Many thanks!